How do I change the main course for one of my sections? 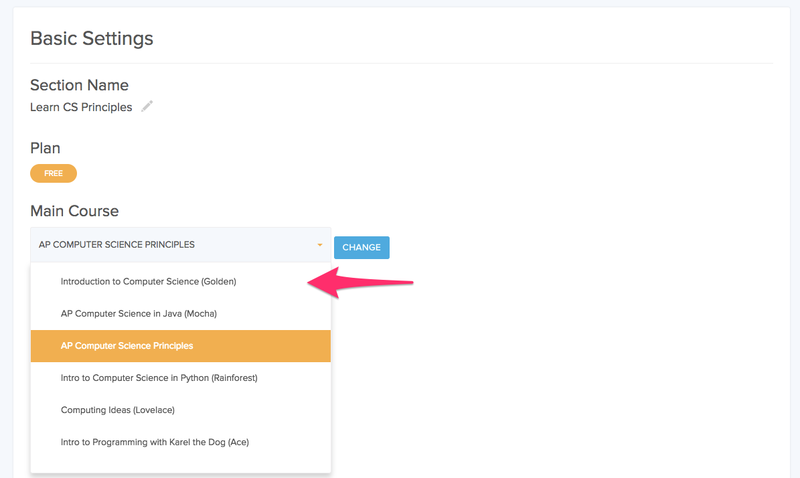 The main course for a section is the course that students are automatically taken to every time they log in to CodeHS. 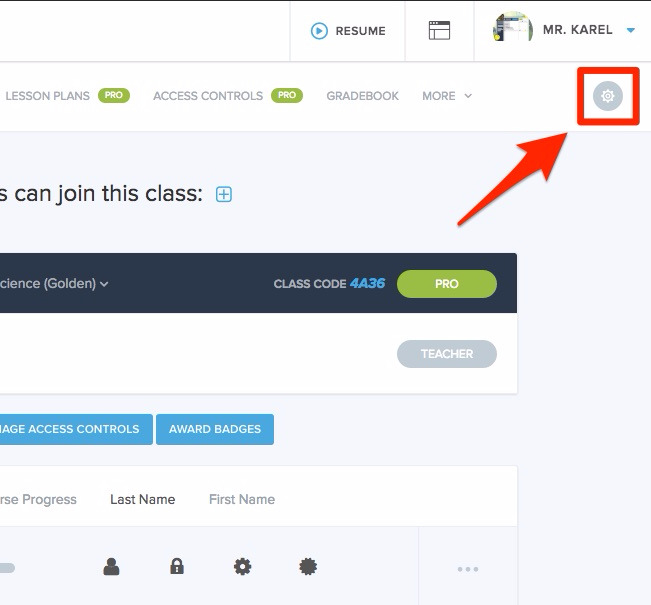 To change a section's main course, visit the Section Settings page by clicking on the "gear" icon in the top right corner of your section page. From there, you'll find an option to change the main course for that section.